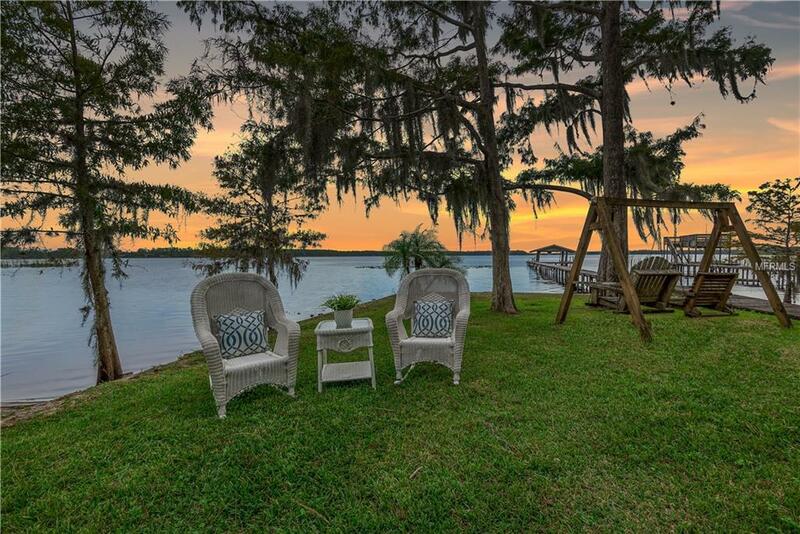 Lakefront serenity awaits on this spectacular property on the shores of Lake Mary Jane! The sprawling 2-acre lot was formerly two separate lots and could be split again if desired. At the end of a long, gated driveway, the home on this property is one of a kind. In the winter, keep warm by the dens wood-burning fireplace or in the incredible indoor pool & spa, warmed year-round by an electric heater. The pool boasts sweeping views of the lake and is the perfect setting for family fun & entertainment.Two of the homes bedrooms have been combined to create one oversized room, but can be easily split for a 4 bedroom home. 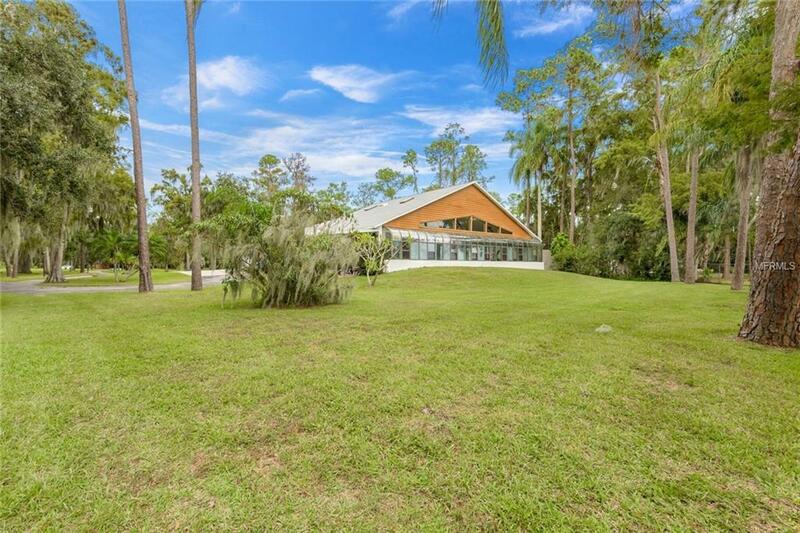 The home has a newer roof and AC and could be remodeled or lived-in while you build your dream home on the other side of this amazing property.The real value here is the propertys glorious lake frontage on Lake Mary Janes northern shore. With a clean, sandy beach entry (185 feet of frontage!) 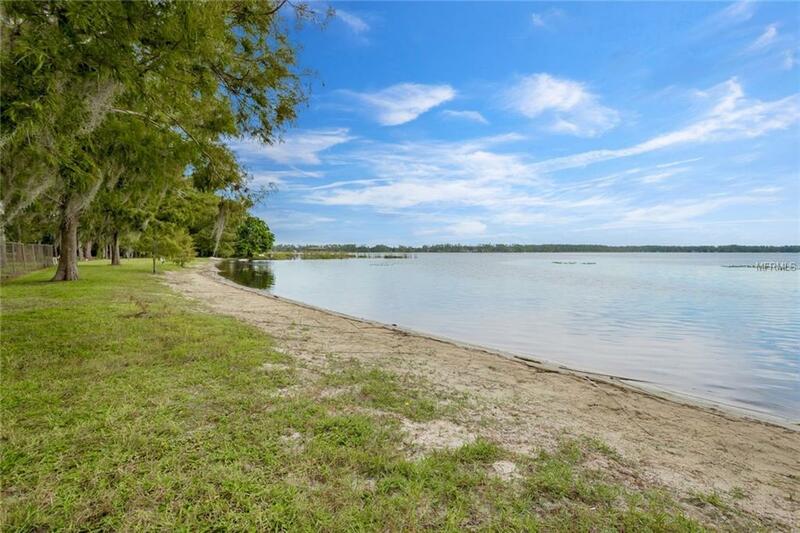 to the lake, extended fishing pier with covered dock, and nearby Moss Park boat ramp with canal access to pristine Lake Hart, you can truly immerse yourself in Florida waterfront living. 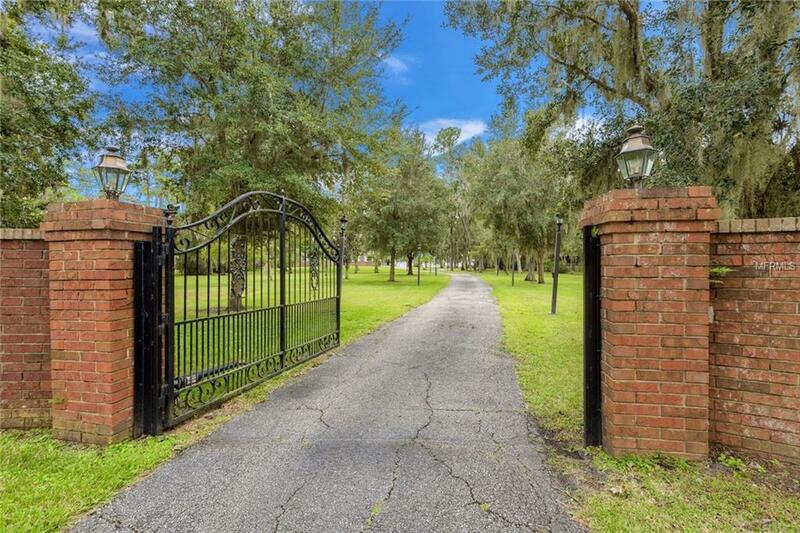 Residents here enjoy a rural lifestyle close to the conveniences of Lake Nona Community amenities, top-rated schools and easy access to State Road 417 and all Orlando has to offer. Call today for a private tour of this captivating property. Additional Water Information Seller Unsure if Boat Lift is Operational.